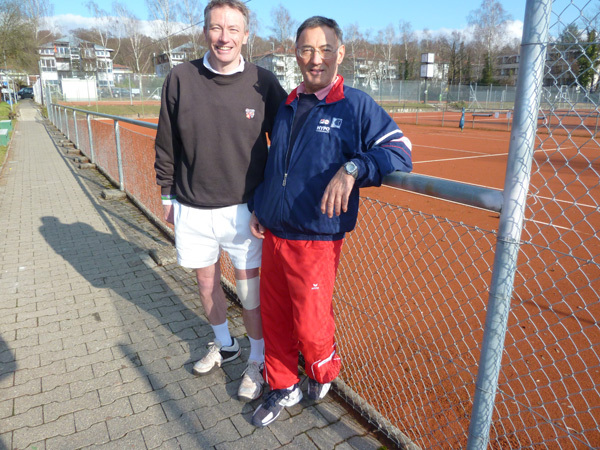 St. Mary’s is twinned with Konstanz Tennis Club, one of the leading clay court tennis clubs in Germany. As real clay courts are so rare in England it is particular invaluable for us to have a partner with whom we can share knowledge and experience. Members of St. Mary’s have an open invitation to visit Konstanz and Konstanz members are equally welcome at St. Mary’s. Exchange visits have already taken place with much tennis and wonderful hospitality enjoyed. Konstanz T.C. boasts 10 red clay courts like ours plus 3 indoor artificial clay courts. The head coach at Konstanz is Davor Tomaciz, the former coach of Mirka Federer and Goran Ivanisovic. The club enjoys an idyllic location on the banks of Lake Constance with the sunlit Swiss Alps as a spectacular evening backdrop.